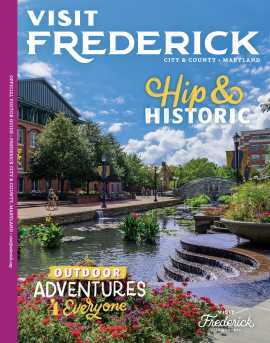 Traveling with your dog can be an amazing experience and Frederick is one of the most dog-friendly places around! For dogs who are in constant motion and for dogs who sleep 23 hours a day, there is a lot to love here. 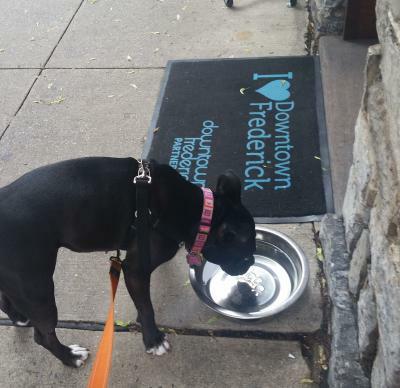 Many of Frederick&apos;s tasting rooms have space for your pets to join you. 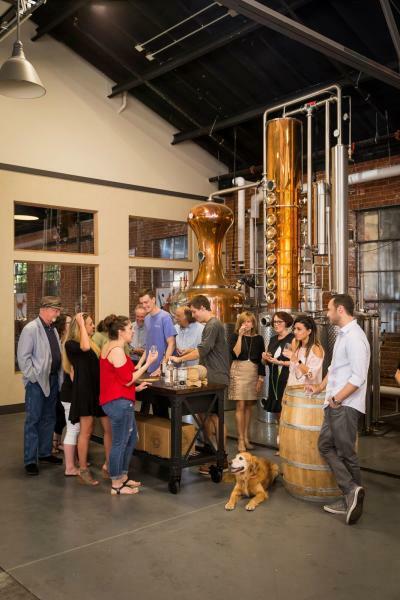 Sample sustainable craft spirits at McClintock Distilling while your pooch cools down on the chilly floor. Let your dog bask in the sun while you take in a gorgeous view and a glass of Chardonnay at Catoctin Breeze Vineyard. 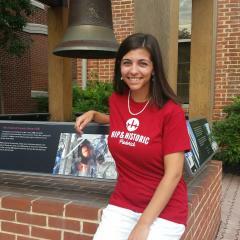 Downtown Frederick is a boutique shoppers paradise. Housed in historic buildings with impressive architecture, many of Downtown Frederick&apos;s shops encourage dogs to come inside. Look for the dog-friendly sticker in shop windows as you go. You&apos;ll notice that many shops and restaurants offer bowls of water and treats outside as you enter. 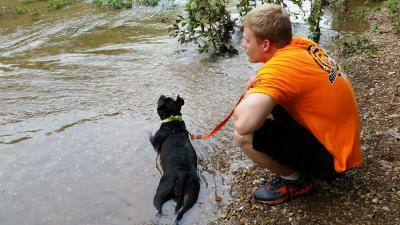 Frederick&apos;s many parks offer a variety of trails, bodies of water, and off leash areas for dogs. 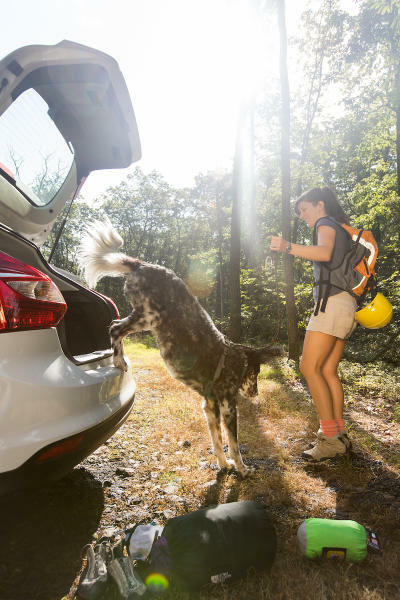 If your dog needs to keep moving, there is plenty of scenery to enjoy. At Baker Park, you&apos;ll find level walking paths, dog water fountains located near the ground, and a popular dog park. At Monocacy National Battlefield you&apos;ll find trails with historic markers that will teach you about Frederick&apos;s role in the Civil War. For a more intense path, head to Catoctin Mountain Park for trails of various difficulty. Need to refuel? 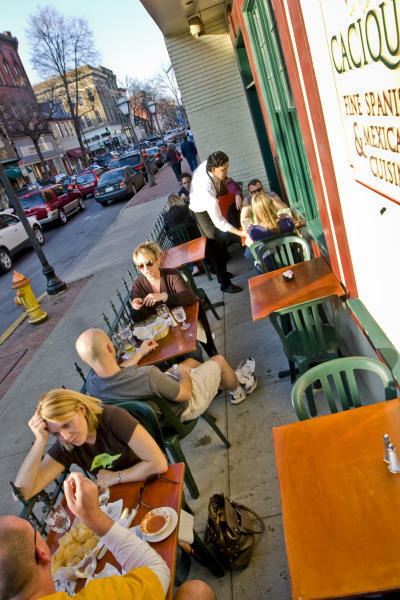 Many of Downtown Frederick&apos;s restaurants offer patio seating and your dog is invited in! Looking for nachos? Try La Paz. In the mood for a pizza and a beer? Brewer&apos;s Alley actually uses their local brew in the crust of their pizza! There is no reason to cut your trip short! A large number of Frederick&apos;s hotels welcome your furry friends. You can both get a good night&apos;s sleep before another day of exploring!